Our new programme, informed by input from teachers, features productions from Scottish performing companies, specialising in theatre and dance for children and young people. Pondlife – a touching story about ‘the new boy’ for P5 - P7, perfect for spring term 2019 transition programmes. Emma & Gill – a new show for P4 - P7 exploring what is "normal" and why being different is to be celebrated. Spring 2019. Cloud Man - a show with puppetry and storytelling about making sense of the world and seeing the beauty and surreal in the everyday for P1 - P3. Autumn 2019 & Spring 2020. Mikey and Addie - a storytelling performance for P5 - P7 which looks at identity and friendship and what happens when things change. Autumn 2019 & Spring 2020. Our productions are designed specifically with schools in mind, suitable for their buildings and age appropriate for their pupils. We arrange all practicalities to ensure maximum enjoyment and learning from the visit, with minimum disruption to the school day. We provide productions suitable for classes from Nursery to P7. The programme is year-round and available throughout Scotland. Performances timed to allow clusters of primary schools to come together. Small school subsidy helping small geographical isolated schools to host performances (limited). A passionate one-man show that vividly illustrates the high stakes of classroom power play, Pondlife movingly explores the lasting legacy of childhood friendships. Emma & Gill tells the story of two friends who are making a theatre show together. The show is supposed to be all about Emma and her experience as an autistic person. As the story unfolds, it becomes clear that Gill doesn’t know as much about Emma or autism as she thinks she does. Gill thinks Emma is a bit sad and tragic. She thinks that Emma is not normal – not like Gill and everyone else. She doesn’t realise that Emma has lots of hidden talents and interests, and that maybe they have more in common than Gill would think. This new show for schools questions what is “normal” and why being different is to be celebrated. Emma & Gillis a co-production between Catherine Wheels and Lung Ha theatre companies. Catherine Wheels creates theatre performances for children & young people, and Lung Ha Theatre Company are one of the leading theatre companies for people with learning disabilities in Scotland. The show features Emma McCaffrey who has performed with Lung Ha Theatre Company since 2013 and was diagnosed with autism when she was 11, and Gill Robertson the artistic director of Catherine Wheels. Told through a visual, magical mix of puppetry and music this is a heartfelt and humorous story for younger children about what happens when the universe hears your dreams. Looking at themes of determination, working together and achieving goals it is adapted for stage from Simon Puttock’s beautiful storybook for children. ​Claude loves clouds, and he dreams one day of seeing a Cloud Man. Cloud Men are very rare, very shy and very, very hard to find. Mikey is 10. A sunny boy. He lives alone with his mum. Mikey's mum has a secret. It is not well kept. Everyone knows it. Everyone except for Mikey. Addie is a good girl. She doesn't tell lies. Her father makes sure of that. Addie tells the truth. It's what you have to do. Isn't it? A visual storytelling performance for older primary classes about families and friendships, looking at the issues and choices we have growing up. It asks, how do you work out who you are when everything is changing? A beautiful and bittersweet show about coming to terms with the loss of childhood innocence and discovering one’s place in the world. As part of a three-year pilot project we are presenting a variety of performances in a wide range of schools across the country. We are working with teachers, education colleagues, local authority arts organisations and performing companies to research ways of creating a closer collaboration between the provision of theatre and dance performances for schools and an education which includes a valued enjoyment of the arts, integrated across learning. In the first two years, seven productions toured to schools across Scotland. These performances have been supported by a variety of partners, from touring networks to theatres to local authority education departments. Consultation with these schools and partners has informed the development of new teaching resources and programming considerations. 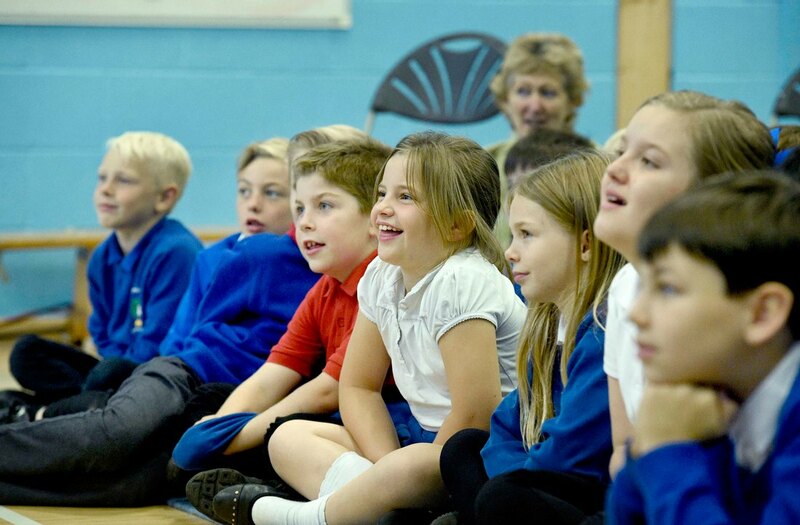 Theatre in Schools Scotland continues to be supported by regional partners, schools and local authorities. The programme is sponsored by the Scottish Salmon Company and supported by Culture and Business Fund Scotland. Each show will have its own resources for teachers to help you to prepare for our visit. Teachers and children will enjoy the performance without prior knowledge of the story but, when available, information packs help teachers prepare and link to classroom plans. The day before your class watch the performance please show them the An introduction for Pupils. This video will give them a friendly introduction to having a theatre performance in their school. In the video, we have asked some questions to start to get pupils thinking about the performances. These questions can also be used as discussion points after they have all seen the performance. 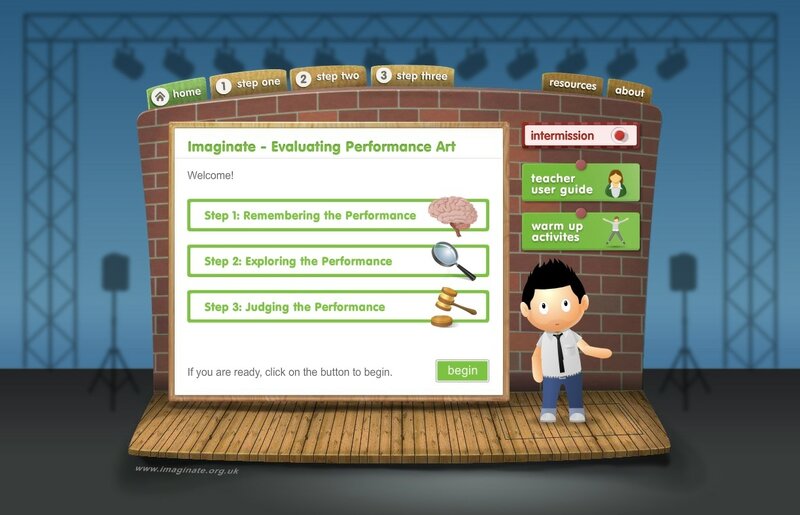 This interactive online resource, developed by Imaginate in partnership with Education Scotland‘s Co-Create project, can help teachers deliver interactive lessons in performance art evaluation. Classes are guided through an intuitive process by Stevie the theatre critic who supports them in critically analysing a performance they have seen. Stevie takes the class through a structured 3 stage reviewing process which encourages discussion, debate, critical thinking and group work, neatly supporting the Curriculum for Excellence Expressive Arts Outcomes and Experiences across all levels. Click here to access the interactive evaluation resource. We also offer bespoke session for groups of up to twelve teachers involved in the Theatre in Schools Scotland tour. Imaginate and National Theatre of Scotland are proud to have developed Theatre in Schools Scotland in collaboration with partner companies Catherine Wheels, Visible Fictions and Starcatchers. As national organisations, National Theatre of Scotland and Imaginate take seriously a commitment to provide theatre to all the people of Scotland, breaking down the geographic and economic barriers that prevent engagement with the arts. ​Theatre in Schools Scotland enhances the reach of quality work already made for children in Scotland, allowing young people across the country to see work in their local communities that has toured the world. It allows children access to new stories, new voices and new experiences. It makes theatre relevant, exciting and accessible and enriches the lives of children across Scotland. Find us on social media or join our mailing list.